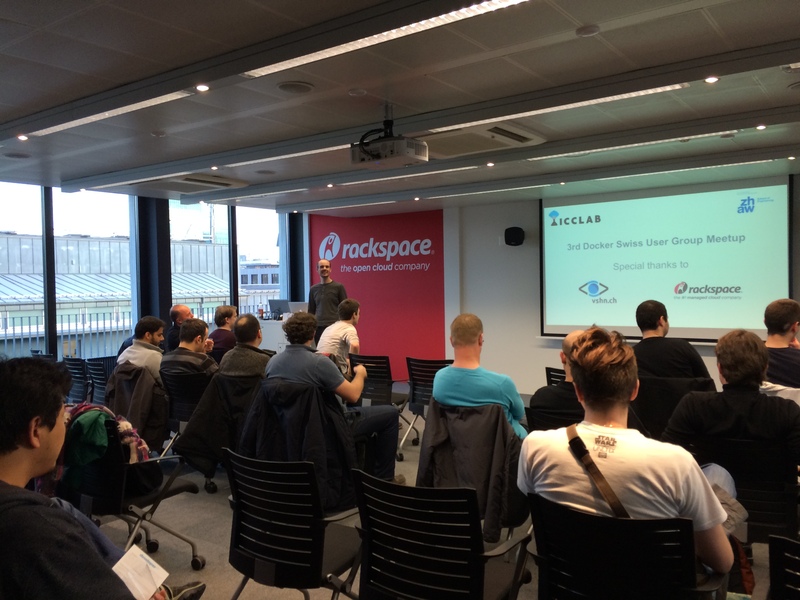 We organised the 3rd Docker Switzerland User Group meetup yesterday, 24th of March 2015. The event was hosted at the premises of Rackspace at Technopark in Zurich and was sponsored by VSHN. 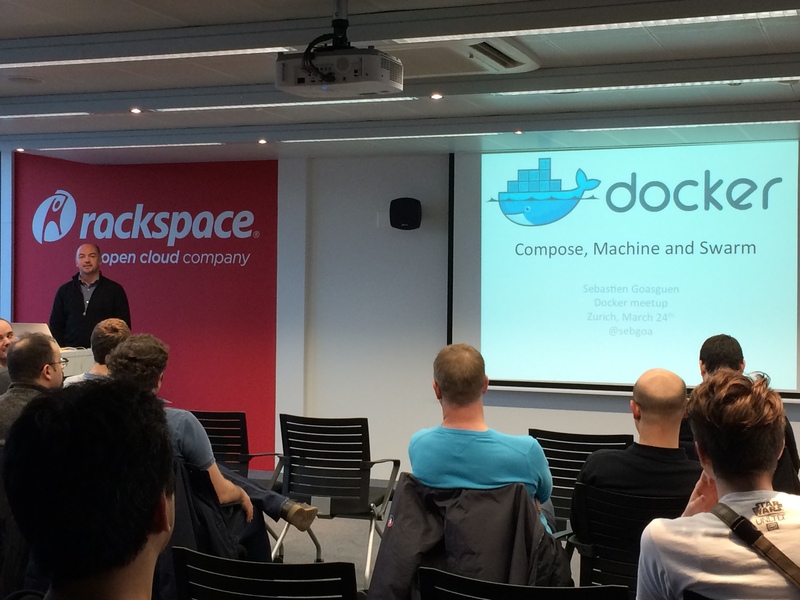 The event, with about 40 attendees, started at 1800 hours with the opening talk of our own Florian Dudouet who is responsible for organising the Docker Switzerland user group meets, followed by a talk from Sebastien Goasguen from Citrix, on the Docker Machine, Compose and Swarm. 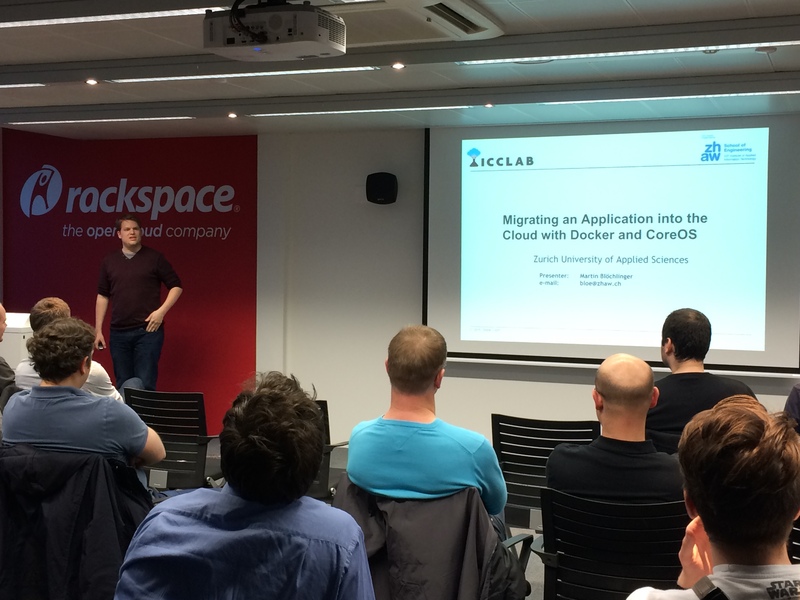 The second and final talk was from our own Martin Bloechlinger, who presented and gave a demo on Migrating an Application into the Cloud with Docker and CoreOS. A big thanks to VSHN for the delicious pizzas, and the beer from the ICCLab, no one left unsatisfied! Many thanks to Rackspace for providing the space, and giving a chance to see the cool cow (only who helped clearing up and the insiders will know of this)! It was a fun meetup and we look forward to repeating that again in a couple of months time. Bis später!